Whether you have studied the Bible in-depth before or are new to exploring God's word, the process of learning about the Bible can seem challenging. 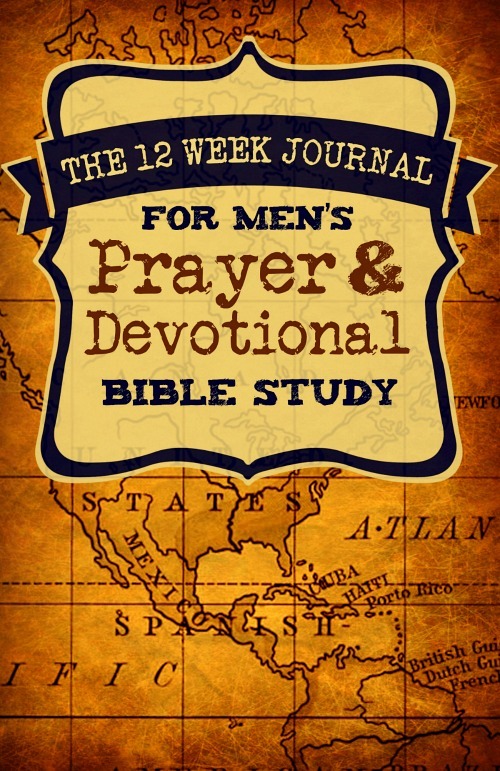 This simple 12 week journal is a self-guided DIY study to help men dive into the Bible daily. You choose topics that interest you or use it as a note-taking companion to another Bible study. 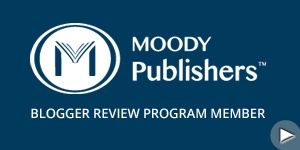 Note: This study journal is not specific to any Bible version and designed to use your preference of Bibles and resources in a self-guided approach. It works well for personal use, church, Sunday school or Bible classes, homeschool, and more. 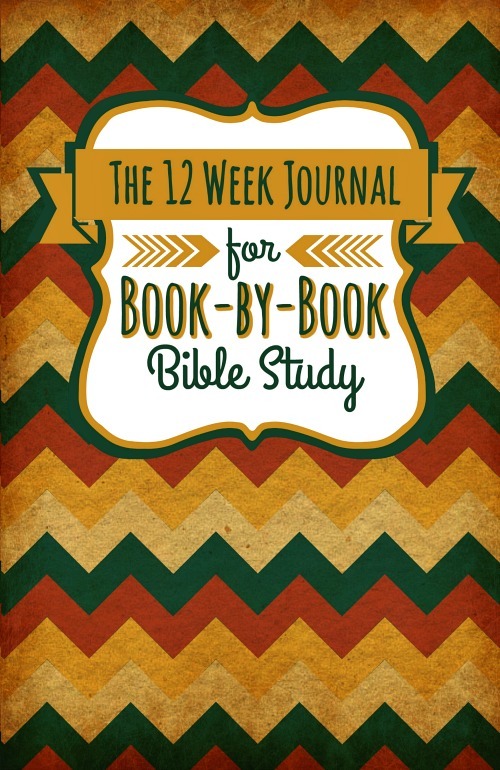 What you'll need to accompany this self-guided DIY study journal for the most benefit: a Bible of your choice and some quiet time each day. As the title would suggest, this journal is split up into twelve weeks. It starts out with an introduction, than starts week one. Each week starts out with a place to put the study goals for the week, followed by a reading log. There are places to write prayers and praise, and to draw if one wishes. There are a couple of pages to write thanks, favorite verses and keywords, and a lot more. I thought these journals sounded like a neat idea. and I found that to be the case. They are well put together with a lot of room for pretty much anything one wants to write about their Bible reading and prayer throughout the week. 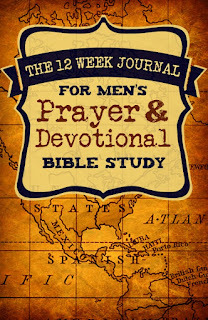 This review is for the men's journal, and there are all kinds of neat drawings and illustrations that are geared for men throughout the journal. Each week has twelve pages, so there is no lack of space to write and draw. Granted, most men may not be into the drawing part, but it would do us guys good to do the journaling part. There are four different journals in this series: this one for men, one for women, one that is geared for book by book study, and one geared for memorizing Bible verses. Each has an attractive cover, and is geared to help study the Bible. Shalana Frisby was raised in a southern Missouri county where cows usually outnumbered people. After earning a fine art degree in college, she moved off to the big city and began her career as a graphic designer. 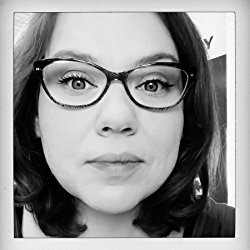 Since then she’s been blessed to wear many hats in life working as the craft editor for a major publishing company, instructing college design courses, owning her own business, and creating all sorts of digital and print projects, but her greatest achievement is using her talents to spread the Gospel. Shalana's professional journey gave her the opportunity to live several places across the United States from Little Rock to Kansas City to Milwaukee. Now, once again, she's living in rural southern Missouri having happily found her way back to friends, family, and roots - oh, and all the cows too of course! These days Shalana is foremost a mommy, wife, and lastly listed, but certainly not least in life, a follower of Jesus. This inspires and requires her to learn more about God’s holy word, the Bible. She hopes you find her journals and other books help you on your own quest to do the same. 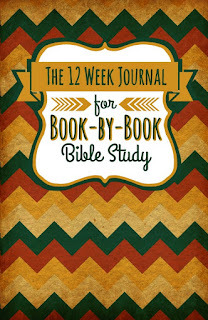 Courtesy of the author, I have a copy of The 12 Week Journal for Book-by-Book Bible Study to give away. Using Random.org, I will pick a winner 10 days from now on April 18. To enter, comment with one of your favorite Bible verses. Great review! I'll have to show these to my husband.